Prepare crêpes as above. Whisk cream to soft peaks. Fold in a few spoonfuls of dulce de leche creating a delicious marbled effect. Fill crêpes with mixture and fold into quarters. 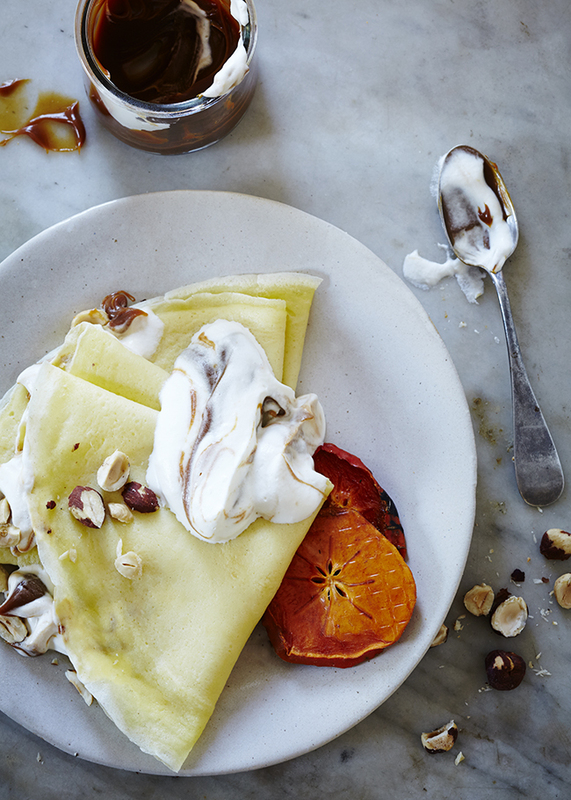 Serve with more a tad bit more dulce de leche, dried fruit and a crushed nuts. Top it all off with a sprinkling of flaky salt.